A straight flush of style. 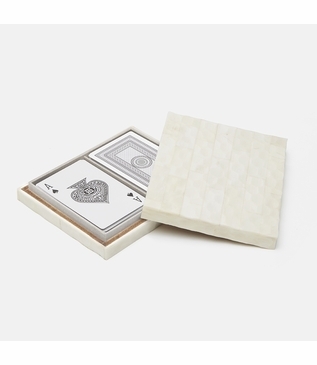 This beautiful natural bone box holds two decks of playing cards (included). Makes a perfect gift for the card shark in your life or a swanky addition to your next game night. Size: H: 1" • L: 6" • W: 5"